The Dubia Cockroach (Blaptica Dubia), also known as the Orange-spotted Cockroach, Guyana Spotted Cockroach, or Argentinian Wood Cockroach, is a medium-sized cockroach which reaches lengths of up to 4.5 cm (1.8 in). They are sexually dimorphic; adult males have full wings covering their body, while females have only tiny wing stubs. Adults are dark brown to black with somewhat lighter orange spot/stripe patterning sometimes visible only in bright light. Coloration does differ slight with environment and diet from one colony to another. B. Dubia are ovoviviparous, giving birth to live young, and can give birth up to 40 nymphs per month under favourable conditions. The Dubia cockroach is found in Central and South America, beginning in Costa Rica. It is common from French Guyana and Brazil to Argentina. Documented specimens have been found in Brazil, Argentina, and Uruguay. Adult males while rarely known to fly, do have fully developed wings, and pigmented musculature typical of cockroaches able to meet the rapid energy requirements of sustained flight. The Dubia cockroach is a frugivore that prefers fruits and grains, shunning such high protein sources as meat or waste droppings from other animals. They particularly like semisweet vegetable matter. 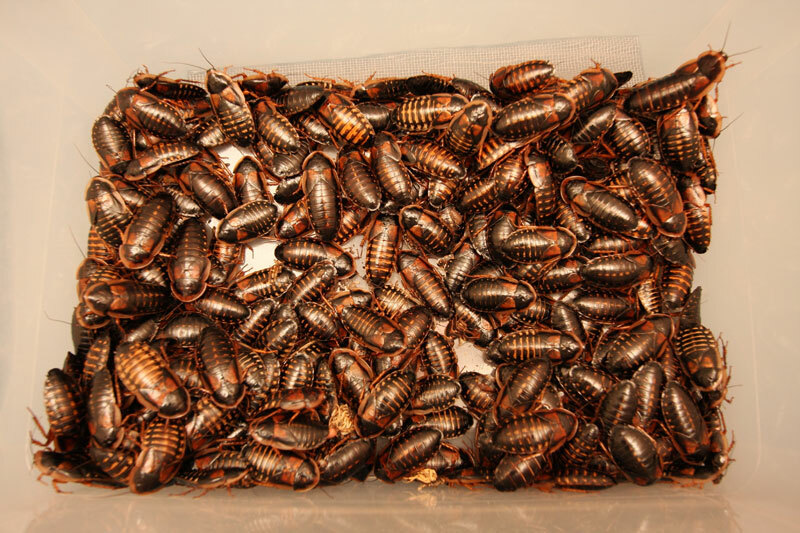 Click HERE for a Dubia Cockroach care sheet.